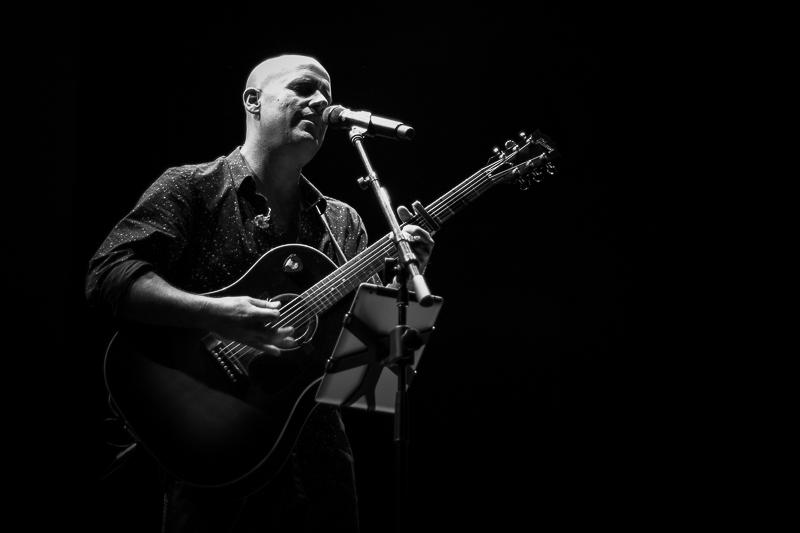 Peruvian singer-songwriter Gianmarco Zignago closed the US leg of his #LIBRE tour last night at the Miami-Dade County Auditorium. To the surprise of some of his followers, his name is not synonymous of sold-out stadiums or arenas in the United States and other parts of the world. But that doesn't necessarily mean you're not familiar with some of his songs. If you have paid attention to latin music in the last couple of decades, you've probably heard some of his songs from the voice of other artists: Emmanuel, Gloria Estefan, Marc Anthony, Alejandro Fernández, Jon Secada and Obie Bermúdez, to name just a select few. And that's not an accident. It's actually by choice. He has chosen that path deliberately. "We don't sound on the radio, and that's OK. All of you here are our radio." A three-time Latin Grammy Award winner, recently nominated for Best Singer-Songwriter Album and Song of the Year, he's taking his #LIBRE tour to Europe starting next month. That radio surely seems to be up full blast right now.